In her almost century-long life, Emily Greene Balch (1867-1961) participated in a spectrum of social reform activities and authored a long list of publications. She attained notoriety during her lifetime as a social reformer, professor, and international peace leader. She helped to found one of Boston’s first settlement houses (Denison House). She became a professor and later dean at Wellesley College, and was widely recognized as a published scholar on American immigration. In her middle age, she emerged as an international peace leader. A cofounder of the Women’s International League for Peace and Freedom, Balch served in many roles for the organization. Perhaps most notably, she set up and organized the WILPF’s international office in Geneva. Her dedication to internationalism culminated with her receipt of the Nobel Peace Prize in 1946. 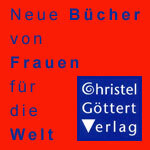 In 1922, Balch issued a call to women of all countries to reach beyond national allegiances and develop a new human identity. 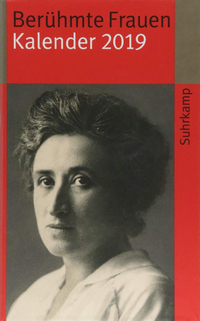 She declared the emergence of a new generation of women, writing: “Lovers of our own lands, we are citizens of the world, conscious partakers in the sacrament of all human life” (“Our Call,” Bulletin of WILPF, February 1922). On a personal level, she embraced a global identity, recording, “Deeply and happily I feel myself a citizen of the world. I am at home wherever there are people” (“The Earth is My Home”). Balch’s personal and public declarations of global citizenship were the product of a lifetime of learning the necessity of cooperation across borders and nationalistic loyalties. As a social reformer on local, national and international levels, Balch came to understand the need to stress human similarities over national differences. Over the course of Balch’s life, through her professional work and scholarly writings, she continually advanced the concept of global citizenship as the path to peace. This idea remained a constant driving force in her life and is a central element of her legacy. 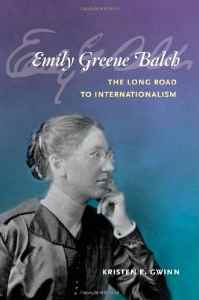 author of Emily Greene Balch: The Long Road to Internationalism, University of Illinois Press, 2010.